Start a new Christmas tradition with this 28 in. Nativity Set. Featuring Mary, Joseph and the little baby Jesus, this set is more than simple seasonal decor, it's a reminder how the biggest holiday of the year had humble beginnings. Brighten this holiday, and holidays to come, with this classic addition to your Christmas display. 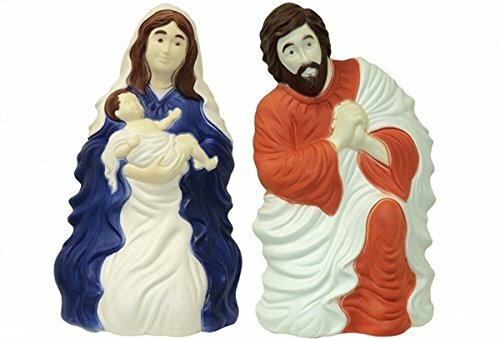 Size: 28" Includes Baby Jesus, Mary and Joseph For outdoor and indoor use Made of durable plastic with a painted finish 25w bulb is not included Great display on your lawn or porch. If you have any questions about this product by Union, contact us by completing and submitting the form below. If you are looking for a specif part number, please include it with your message.